It's the season of giving! At MiWay we’re passionate about helping South Africans realise their full potential. Getting involved with, investing in, helping and supporting communities go hand-in-hand with the core values of our business, which is why we make a habit of giving of our time and resources to uplifting communities through projects that make a difference. In the spirit of giving this festive season, we celebrate one of our ‘giving heroes’, Eze a.k.a Ezekiel. Ezekiel is one of the founders of a non-profit organisation, Tsoseletso Foundation, an organisation that was started in 2012. The foundation has served schools in Mamelodi and Hammanskraal with the aim of bringing hope to young underprivileged South Africans. The Tsoseletso Foundation was born out of a need to restore dignity and pride to the vulnerable lives of millions of deprived young school children. By giving them school shoes, the Foundation hopes to renew their confidence, sense of purpose and encourage them to continue going to school in order to use education as a vehicle to move beyond their challenging circumstances. 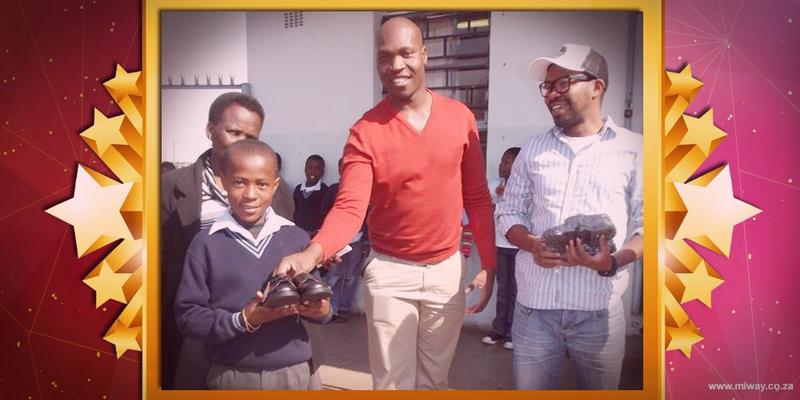 2016 saw the Foundation giving 100 school shoes to learners from the schools that they serve – with the help of Ezekiel’s MiWay colleagues in the Development department. We celebrate the big hearts that continue to inspire each other to give to those that need a helping hand. As we enjoy the festive season and gear up for the new year, let us consider those less fortunate than ourselves. May we be encouraged by heroes such as Ezekiel to give and share the joy! Follow the Tsoseletso Foundation on Facebook or Twitter. MiWay's own MiHeart Project is a CSI initiative aimed at helping leaners in local schools move further up the education ladder. The initiative supports educational programmes – specifically computer literacy. Become part of MiWay's Actuarial department!